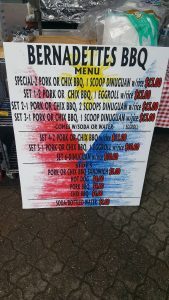 Bernadette’s BBQ offers Filipino style specialties out of her deceptively low key locale, a food truck. Often the most overlooked treasures come in mundane disguises and Bernadette’s is one of those. 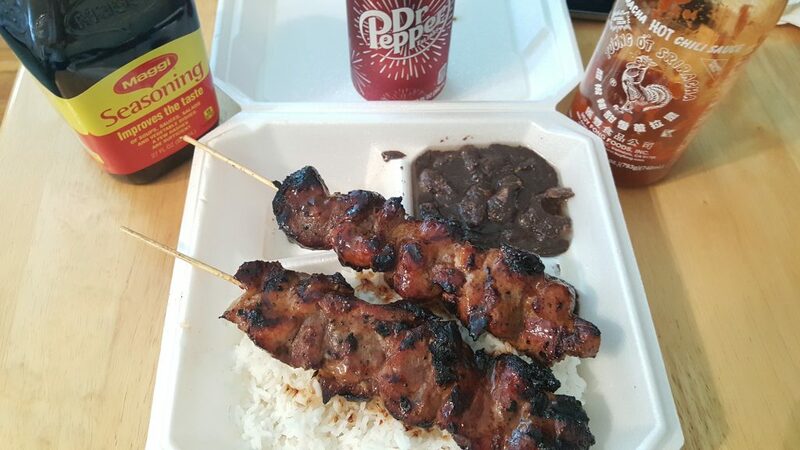 If you have a craving for some great barbecue stop by Bernadette’s and grab either pork or chicken BBQ skewers and get the scoop of Dinuguan. 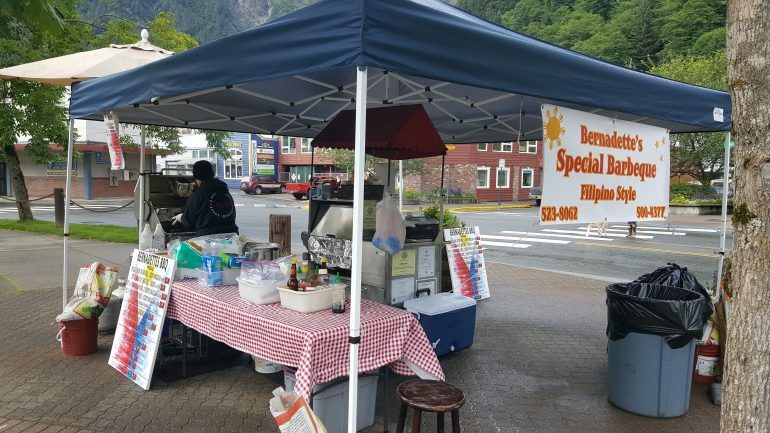 Bernadette’s BBQ is located next to Marine Park downtown. You will find her dishing out delicious BBQ rain or shine. The main courses are all $13 and include soda. She dishes out healthy loaded serving that will surely fill you up. There are plenty of sides to choose from too. Pork or chicken sandwich for $5 and other sides for $4. I ordered the Special 2 Pork BBQ, 1 scoop Dinuguan with huge mound of rice plus soda for $13. It was my first time eating Dinugaun and I liked it. Don’t let the ingredients scare you off. It is made with pork blood and pieces and is delicious. The Pork BBQ has a great marinade and barbecue char for a great flavor.